Maui is home to some of Hawaii’s most unique treasures, like the scenic Hana Rainforest, the moon-like Haleakala Crater, and the beautiful West Maui Mountains. An added bonus is Maui’s nearby neighbor Island of Molokai where you can see Hawaii’s tallest waterfall and the world’s highest sea cliffs! West Maui is home to one of the wettest places on earth. Long streaming waterfalls and vibrant green valleys are trademarks of this incredible island wonderland. Lahaina, Kaanapali and Kapalua coastlines are beautiful from the air. You’ll also see vast fields of sugarcane and pineapple. Some tours include a trip to neighboring Molokai Island for the spectacular seacliffs and isolated beaches of the inaccessible north shore. You might even see whales as you cross the channel. Take in all the sights of East Maui before heading deep into the isolated interior of west Maui. Soar high above Haleakala Crater, the lush Hana Rainforest and through the ancient West Maui Mountains. With steep vertical ridges and a multitude of cascading waterfalls, to deep, verdant valleys leading to beautiful white-sand beaches, this flight has it all! Tours include the majestic Haleakala Crater, Hawaii’s largest dormant volcano with moonlike craters and unearthly shades of red, gold and black. Then on to beautiful and isolated Hana, a small rural town that captures the Hawaii of old. The rainforests surrounding Hana will deliver everything expected of this tropical paradise, spectacular waterfalls and lush, green, dramatic valleys that extend down to beautiful white sand beaches and the crystal blue water. 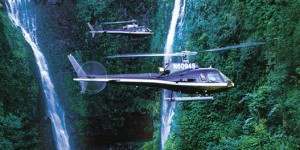 Maui helicopter tour packages are also offered in combination with Atlantis Submarine, Horseback riding and limo-van tours. 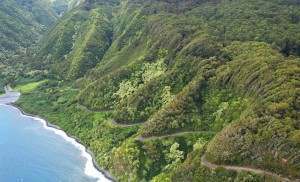 The best way to experience Hana Highway’s 600 curves. Blue Hawaiian is proud of their endorsements and awards from the most important international, national, and local organizations in the travel industry: National Geographic Magazine, Frommer’s Hawaii, The Travel Channel, and many more. Their pilots are known for their experience and knowledge of the history, culture, and geography of the Hawaiian islands. Flights depart from the Kahului Heliport and fly to the most popular Maui destinations, including the spectacular Haleakala Crater, the stunning Road to Hana, the awe-inspiring cliffs of Molokai – and some flights have the opportunity to touch down in the unparalleled beauty of a mountain valley. Flights feature Bose aviation-grade noise-canceling headsets, 4-camera digital DVD in-flight recording (available for purchase), and two-way communication between you and your state-certified pilot. The Company: Founded in 1985 and with operations on Maui, Kauai, two locations on the Big Island, and Oahu, it has grown to be the largest air tour operator in the state. Blue Hawaiian has been awarded the FAA’s coveted “Diamond Certificate of Excellence” every year since 1998, and has received the “Star Diamond Award for Outstanding Quality” since 1995. A-Star: A state-of-the-art touring jet helicopter, all were purchased and are constantly and meticulously maintained by the largest factory trained staff of A&P mechanics in the state of Hawaii. Eco-Star: The world’s first 21st century touring helicopter, it is significantly quieter than the industry-standard A-Star and incorporates the latest cutting-edge technologies, materials, systems and avionics. Offering incomparable passenger comfort with 23% more interior space, individual “Business Class” seats, raised theater-style platform seating in the rear, and far more cockpit glass for fantastic sweeping panoramic views. Blue Hawaiian Helicopters Maui Tour Info – CLICK HERE! Experience Maui’s waterfalls up close. Sunshine Helicopters’ experienced pilots provide you with a safe, smooth, and comfortable helicopter tour of Maui in your choice of their state-of-the-art aircrafts, the WhisperSTAR, or the Executive A-STAR! Both provide maximum enjoyment with breathtaking panoramas filled with waterfalls, rainbows, and spectacular coastlines! FX-STAR: The industry standard FX-STAR (formerly Astar) AS 350 BA “Black Beauty” has all forward facing customized bench style seats giving excellent visibility. Sunshine Helicopters has flown over a half-a-million satisfied passengers in the “Black Beauties” since 1985. You can even purchase a Sky-Cam 5-camera video of your actual flight. Open Seating: Up to six-passengers, seat assignment determined by weight and balance. First Class Seating: The three front seat configuration is replaced with two front seats. Passengers enjoy “First Class” seating next to pilot, with extra arm and leg room. WhisperSTAR: The EC 130 B4 WhisperSTAR manufactured by American Eurocopters was developed to be the ultimate in sightseeing helicopters. More interior room with individual seats (more shoulder and leg room), more visibility with added plexiglass and elevated rear seats. Sunshine Helicopters customizes the standard factory interior with business and first class seating to enhance your comfort and visibility. Soar in the state-of-the-art WhisperSTAR and experience the superb quiet and ultra smooth comfort of the most technologically advanced sightseeing helicopter ever! Flights Offered: Multiple departures and flight paths, including to Molokai. Sunshine Helicopters Maui Tour Info – CLICK HERE! Air Maui’s friendly and expert staff will make you feel absolutely safe and reassured every step of the way, leaving you worry- and stress-free to soak in the incredible, unforgettable sights! Soar over the endless lush and picturesque vistas that this gem of an island has to offer! 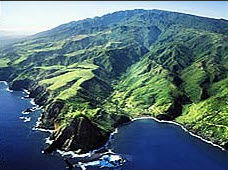 Come, and unlock the mystery of Maui with an Air Maui helicopter tour! The Helicopter: An Aerospatiale / American Eurocopter A-Star 350BA – Aerial 1B Engine with all of the current modifications (Ceramic Swirl Plate, MO5 Gears). This 1996 Helicopter is outfitted with air-conditioning, 2 compact disc players, Bose Headsets, a 5 camera system and viewing moniter and currently the only A-Star that offers 180-degree unobstructed views! 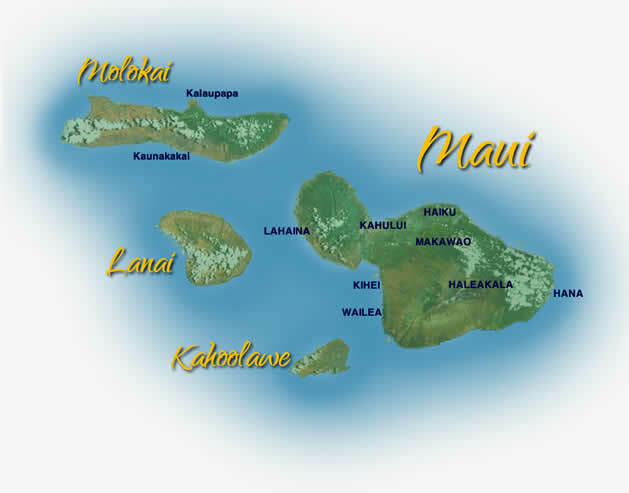 Air Maui Helicopter Tour Info – CLICK HERE!